Manual therapy is related to massage therapy in that it involves using the therapist’s hands to locate and address areas that are painful. Performing manual therapy techniques is an essential component of advancing tissue healing after an injury or surgery. 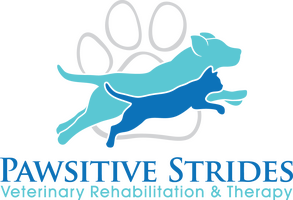 At Pawsitive Strides only certified rehabilitation practitioners will utilize these techniques, which may include joint mobilizations, trigger point treatment, soft tissue massage, range of motion (ROM) movements, and specific stretching techniques. 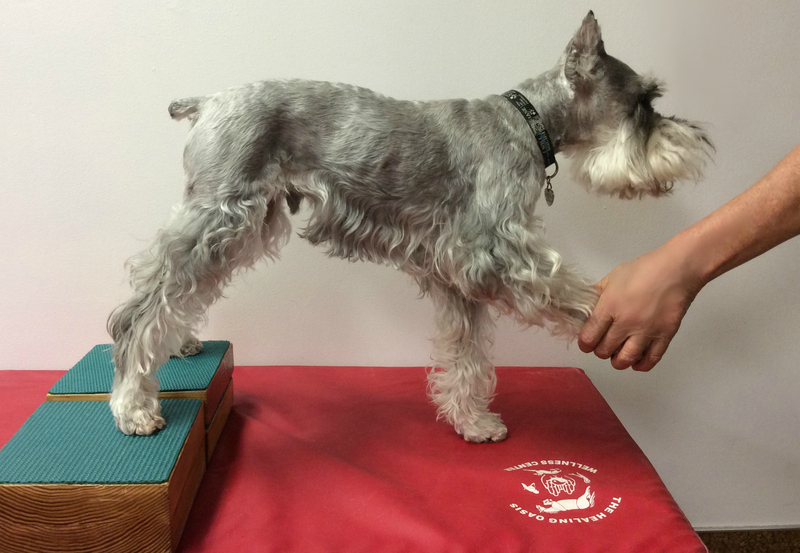 These techniques help to regain normal joint function, provide relief for tired and stressed muscles, and help your pet build the needed muscle to return to normal daily life after injury or surgery. Performance Problems: missing jumps, poor sits, popping out of weave poles. Mobilization is a gentle coaxing of movement by passive rhythmical movements. Joint Mobilization stretches the joint capsule, enhances joint lubrication, and promotes normal joint mechanics. Soft Tissue Mobilization stimulates circulation, realigns collagen fibers, breaks up adhesions and increases fiber elasticity. Range of Motion enhances joint movement and improves muscle flexibility. Traction in pets is done with manual techniques. Gentle traction is very beneficial in cases of nerve root compression along the spine. Traction acts by increasing circulation to the targeted area, which aids in the resorption of extruded disc material and in resolving inflammation around nerve roots. Soft Tissue Techniques may include massage, myofascial release or stretching. These techniques can be utilized to reduce muscular trigger points, promote blood flow to tight/restricted areas, and stretch shortened muscle. The combination of mobilizations and soft tissue techniques is important to improvement of any joint or spinal dysfunction.